Great For Young Explorers And Naturalists In Training. Kids jot down observations in their very own journals! 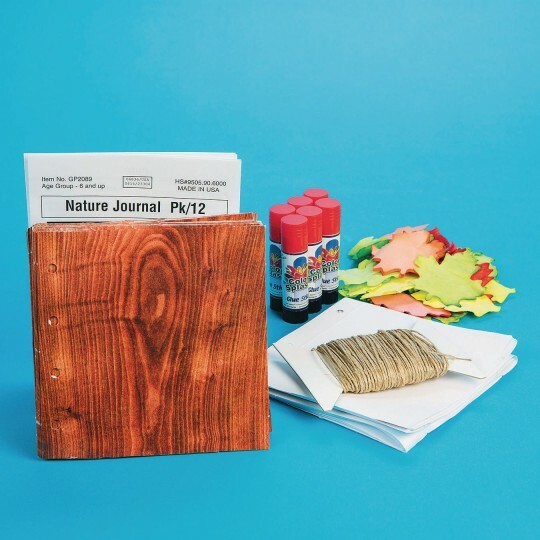 Make easy-to-assemble journals - everything's included. Lace pages and covers together with cord. Then glue on color-diffusing leaves to decorate. Great for intrepid explorers and young naturalists in training. 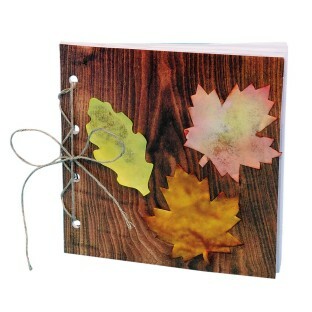 Kids will love to jot down their observations in their very own journals! Make easy-to-assemble journals with journal covers printed on both sides, hemp cord, journal pages, mini color diffusing leaves, glue and instructions. Not usable. Paper cut and holes are off. I opened these only to be disappointed. The paper cut is way off causing the holes to be off and not usable. Some pages didn't even have holes some holes were punched only halfway on the paper leaving an opening on the edge instead of a fully enclosed circle for the string to go through. I was very excited about these but will be attempting to send back for a refund. Only 1 of the 12 in the pack I opened is usable. These turned out really cute. My only complaint was I would have liked to have had more paper. We added glitter around the edges of the leaves and my residents really enjoyed making these. Pretty good project but it had quite a bit of prep--you have to separate the paper it was pre-punched but not separated count them to packs of six separate the covers cut the hemp in half. We pre-poked the holes of the covers and papers since it was difficult for the kids. Overall pretty good but had a lot of prep for us. It includes tons of glue sticks and leaves. The leaves were cute to decorate with. I wish there had been more pages to the kit. I added more. The girls loved these though. I saw many taking hikes and jotting down what they saw. Tiger Cubs love making things.